Play together, connect, share and feel the joy of friendship. Spend a great quality time with your loved one. We are looking for investors, marketing wizzards and warm-hearted people that want to take part in the development of this awesome product. 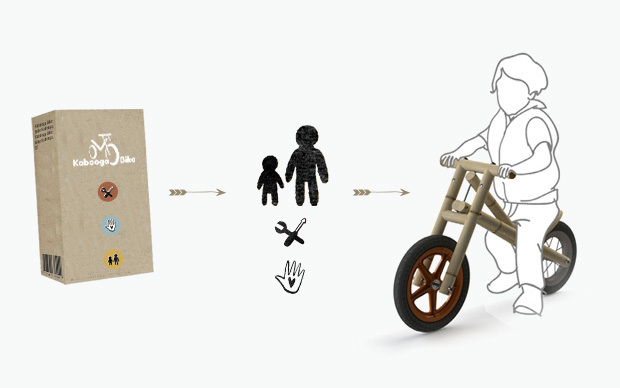 This special kit enables families to create instead of consume. Build the bike together. Included is a storybook and 'activity box' full of educative and fun games. Result is the awesome, fully functional and sturdy bike that lasts for many years. Sustainable and natural. Questions about safety, material, delivery etc?